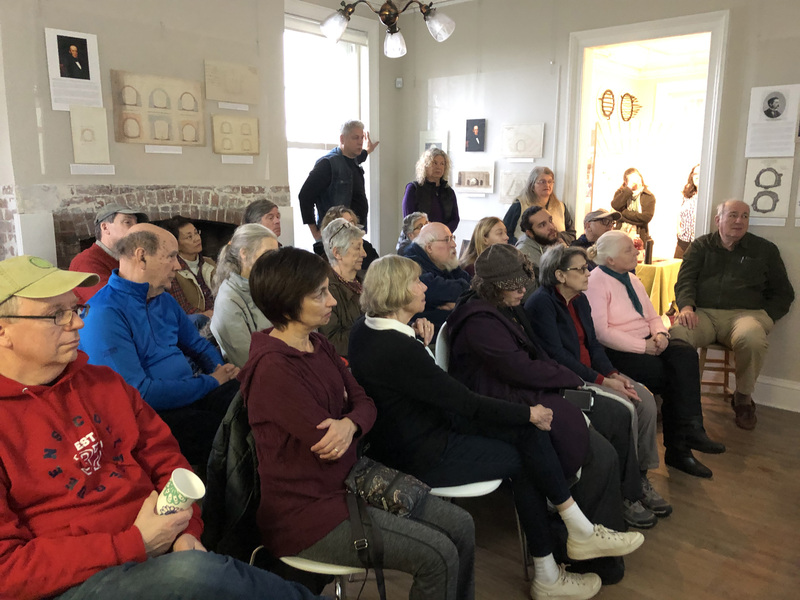 Hardy Aqueduct walkers and nature lovers gathered at the Keeper’s House Visitor Center on a chill and rainy January 5 to meet Sara Cavanaugh, the new curator at Westchester County’s Lenoir Preserve in northwest Yonkers, just south of the Hastings border and directly accessible from the Aqueduct (Facebook page@LenoirPreserve). This serene, 40-acre green space, formerly home to two estates, features terraced lawns, walking paths, a nature center, butterfly garden, and big views of the Hudson and Palisades. 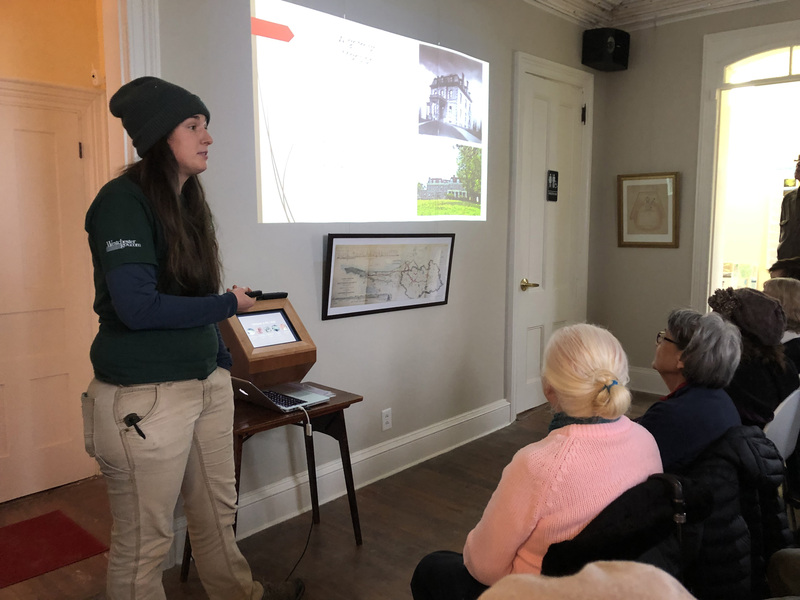 Sara, a credentialed and experienced environmental educator, outlined Lenoir’s history and her plans for a variety of programs, including a family-friendly maple sap-tapping session and a children’s summer camp. Lenoir is also home to the Hudson River Audubon Society of Westchester (www.hras.org). The audience learned from Sara that the uncommon Lincoln sparrow had been spotted at Lenoir just that morning. Plan a visit!